A Capacitor Discharge Unit (CDU) provides a reserve of charge to ensure that a good voltage is available to throw point motors. Especially useful when several motors are thrown by one lever, setting cross-overs for example. This CDU will throw 6 sets of point with ease. The unit stores up power in capacitors and when a point motor is actuated, discharges in one big punch giving the point motor a firm and positive switching action. Prevents burnt out motors Quad 4700uf Capactors. 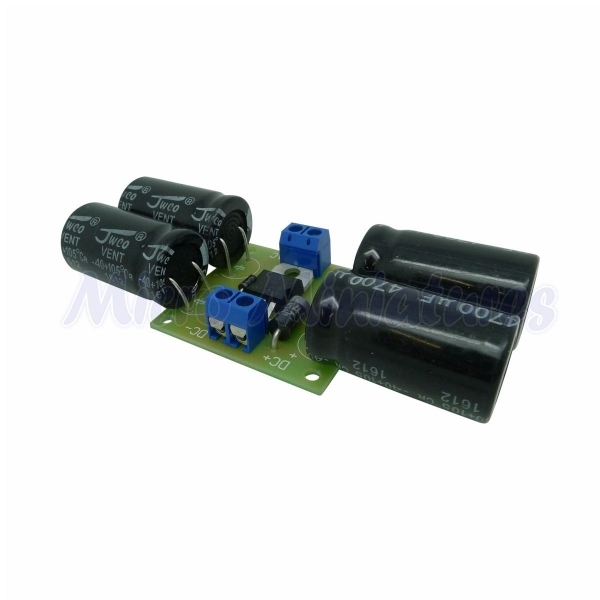 Input: 16v to 24v A.C.